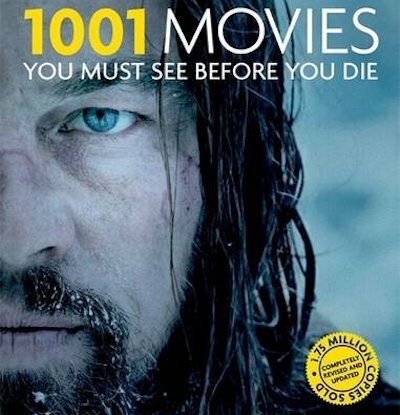 Steven Jay Schneider's 1001 Movies You Must See Before You Die has been updated for 2016. The 2013 edition was substantially revised, though this year's edition (as in 2005, 2006, 2007, 2008, 2009, 2010, 2011, 2012, 2014, and 2015) substitutes only a handful of very recent films. There are ten new entries this year: Spotlight, Mad Max: Fury Road, Straight Outta Compton, The Big Short, Bridge Of Spies, Tangerine, The Revenant, Son Of Saul, Star Wars: The Force Awakens, and The Look Of Silence. Therefore, ten films have also been deleted: Cave Of Forgotten Dreams, Amour, Django Unchained, The Wolf Of Wall Street, Drive, The Act Of Killing, Senna, Citizenfour, Guardians Of The Galaxy, and The Theory Of Everything.